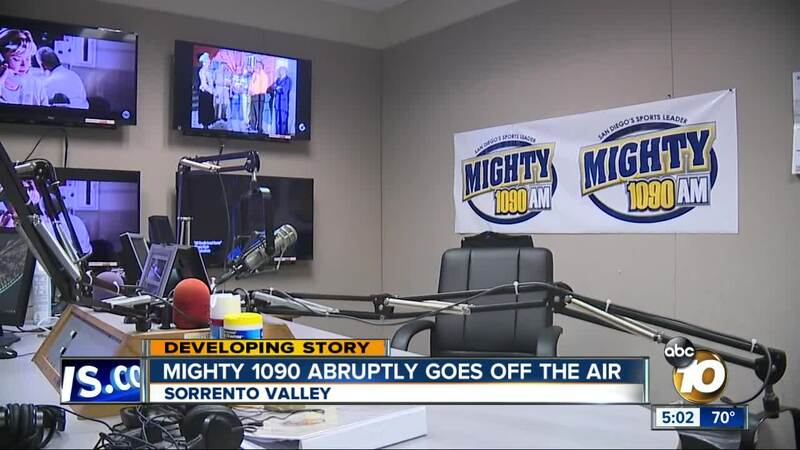 SAN DIEGO (KGTV) -- San Diego area sports fans may find Wednesday's commute home a little quieter after top-rated sports talk radio station Mighty 1090 suddenly went off the air. And, it's uncertain when or if it will return. 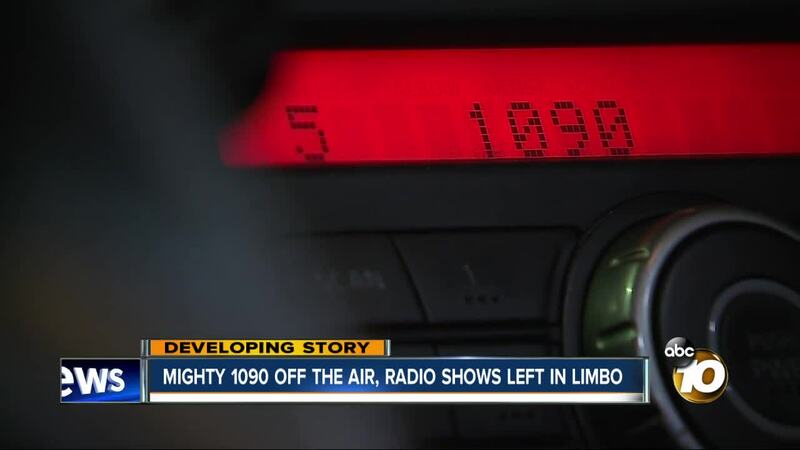 A station official told the San Diego Union-Tribune that The Mighty 1090 lost its "connection in Mexico and are working to get this resolved." The station fell silent around noon Wednesday. "As you can imagine, this has my full attention and there is nothing more to say at this time," said Mike Glickenhaus of Broadcast Companies of America, which operates 1090-AM. BCA, based in San Diego, operates The Mighty 1090, classic alternative station 105.7 MAX FM, and 1700AM as an ESPN Radio affiliate. It was founded in 2003 by John Lynch, father of former Torrey Pines High School football standout and ex-NFL strong safety John Lynch Jr.
Scott Kaplan, host of 1090's Scott and BR Show, told his Twitter followers that despite past challenges after the San Diego Chargers relocated to Los Angeles, "things have been going remarkably well...but we're in a complicated business." A "relationship issue" and a break down in negotiations between the "owners of the signal and the parent company of the radio station" led to Wednesday's abrupt end, Kaplan explained. Kaplan stopped short of giving the full scoop citing a non-disclosure agreement. The station plans to continue putting together shows Thursday, broadcasting shows online on the station's website and social media channels.